As of October 21, 2016. 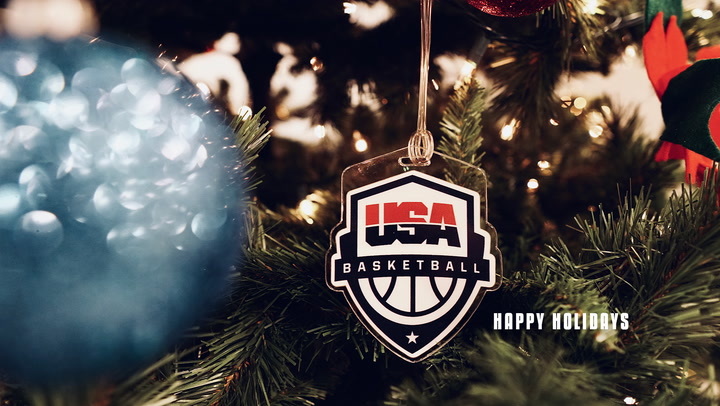 Gold Medals: 2004, 2008, 2012 & 2016 Olympics; 2002 & 2010 FIBA World Championships; 2008 FIBA Diamond Ball Tournament; 2002 Opals World Challenge; 1998 R. William Jones Cup; 1997 FIBA Junior World Championship. Silver Medal: 1997 COPABA Junior World Championship Qualifying Tournament (U18). Bronze Medal: 2006 FIBA World Championship. Began her USA Basketball career in 1996 while still in high school and competed on three junior teams before being called up to the USA National Team in 2002. 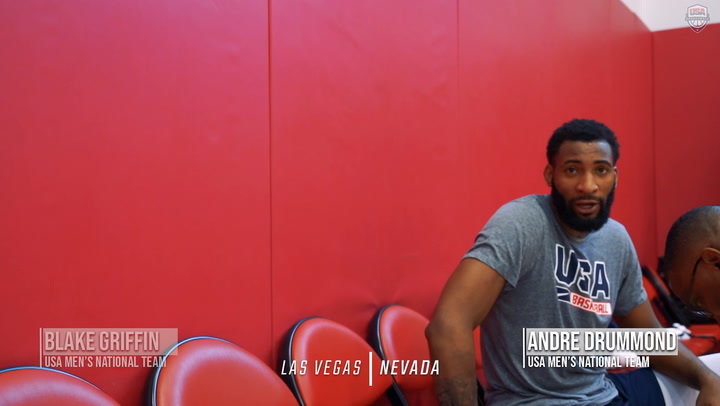 World Championship golds and one World Championship bronze medal; and led the USA National Team to an overall 41-1 exhibition slate since 2002. 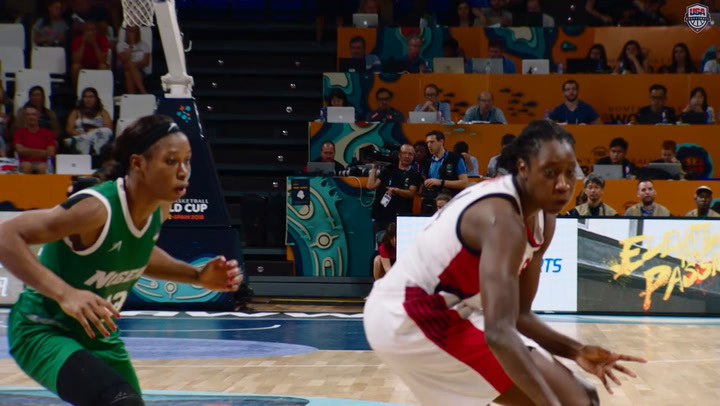 Is one of only five athletes in the world with four Olympic basketball gold medals after claiming her fourth Olympic gold in 2016. 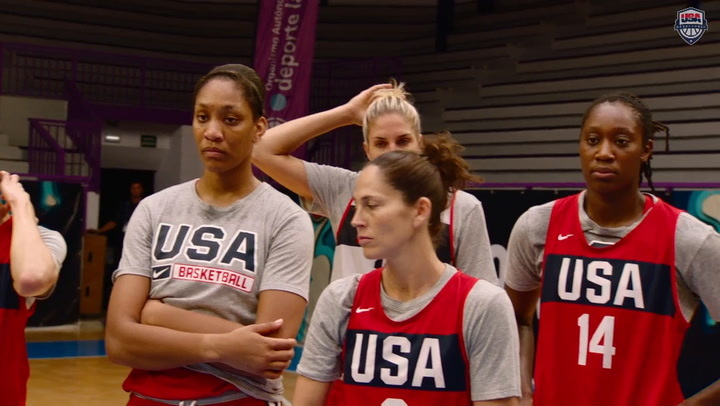 Is one of only 10 players to have earned a FIBA World Championship gold medal, Olympic gold medal, an NCAA title and WNBA crown (Sue Bird, Swin Cash, Cynthia Cooper, Brittney Griner, Asjha Jones, Maya Moore, Sheryl Swoopes, Diana Taurasi and Kara Wolters). Member of the 1998 USA R. William Jones Cup Team that posted a 5-0 record in Taipei, Taiwan. Member of the 1997 USA Junior World Championship (U19) Team that won the gold medal with a 6-1 record in Natal, Brazil. Is the first American woman to claim gold at both the junior and senior level FIBA World Championships, a feat matched by Maya Moore (2006 U19, 2010 and 2014 World Championships) and Breanna Stewart (2011 and 2013 U19 World Championships, 2014 World Championship). Member of the 1996 USA Junior World Championship Qualifying (U18) Team that captured the silver medal with a 4-1 record in Chetumal, Mexico. Drafted: No. 3 in 2001 by the Indiana Fever. All-WNBA first team: 2002, 2003, 2006, 2009, 2010, 2011, 2012. All-WNBA second team: 2004, 2005, 2007, 2013, 2015. WNBA Defensive Player of the Year: 2005, 2006, 2009, 2010, 2012. WNBA All-Defensive first team: 2005, 2006, 2007, 2008, 2009, 2010, 2011, 2012, 2015. WNBA All-Defensive second team: 2014, 2016. WNBA Rookie of the Year: 2002. WNBA All-Star Games: 2000, 2001, 2002, 2003, 2005, 2006 (injured), 2007, 2009, 2011, 2013, 2014, 2015. Top 15 Players in WNBA History (15th Anniversary Team): 2011. Korea League titles: 2002, 2003, 2006, 2007. Kim Perrot Sportsmanship Award: 2010, 2013, 2016. All-Chinese WBCA first team: 2013. WBCA Forward of the Year: 2013. Helped the Indiana Fever advance to the playoffs 13 times in 15 seasons, while capturing the WNBA title in 2012 and advancing to the WNBA Finals in 2009 and 2015. Sidelined with back issues for most of the 2014 season, averaged 16.1 ppg. and 6.4 rpg. in 16 games to help Indiana to a 16-18 record and the Eastern Conference Finals. Helped lead the Fever in 2013 to a 16-18 record and the Eastern Conference Finals; averaged 17.7 ppg. during the regular season and 18.5 ppg. in the playoffs. Honed her game internationally in China, South Korea, Russia and Turkey and won four Korean titles with Woori Bank Hansae (2002, 2003, 2006, 2007). In 2010 became the first player to earn a fourth Defensive Player of the Year award and is the only player to be named to the All-Defensive first team all eight years. Tore her Achilles tendon Sept. 3, 2007, and underwent surgery on Sept. 5. Leading vote-getter for the 2006 WNBA All-Star Game. Finished as runner-up for the 2003 WNBA MVP award. Received 48 out of a possible 60 WNBA Rookie of the Year votes in 2002 and finished as the second vote getter for WNBA Defensive Player of the Year. Sat out the 2001 WNBA season while recovering from a torn right ACL, which cut short her final season at Tennessee. She then suffered torn cartilage in the same knee during practice on July 5, underwent surgery and missed the remainder of the season. During her four years at Tennessee, UT posted a 134-10 overall record (.931), collected four Southeastern Conference regular season crowns, three SEC Tournament titles, competed in four NCAA Tournaments, won the NCAA title in 1998, advanced to the NCAA Final Four in 2000 and made the 1999 Elite Eight and 2001 Sweet Sixteen. ESPY award winner as the College Women's Basketball Player of the Year (2001). Consensus National Player of the Year (2000). NCAA All-Final Four (1998, 2000), NCAA Regional Most Outstanding Player (2000) and NCAA All-Regional (1999, 2000). A four-time Kodak/WBCA All-America first team selection, National Rookie of the Year (1998) by The Sporting News and the USBWA. All-SEC first team (1998, 1999, 2000), All-SEC second team (2001), SEC All-Tournament Team (1998, 1999, 2000), SEC Newcomer/Freshman of the Year (1998). Born in Stratford, New Jersey; finished high school in Duncanville, Texas; after spending her first two years of high school playing basketball with her sister, Tauja, in Lincolnshire, Illinois; and currently resides in Indianapolis, Indiana. Married Parnell Smith on Feb. 7, 2016. Daughter of Wanda and Harvey Catchings, has two brothers, Kenyon and Bryce and two sisters, Tauja and Chrystie. Earned a bachelor’s degree in sport management with a minor in business, has since earned a master’s in sport studies. Father competed 11 years in the NBA. He then worked in the league office as the Director of NBA Player Programs. Recipient of the 2015 ESPN Sports Humanitarian of the Year award and co-recipient of the 2016 National Civil Rights Museum Sports Legacy award. Appeared with First Lady Michelle Obama as part of the “Let’s Move Tour” in 2012 and has served since 2013 on the U.S. Department of State’s Council to Empower Women and Girls Through Sports. Has career ambitions of being a general manager of a pro team and in 2016 spent a couple of weeks working in the NBA/WNBA offices. Collects Starbuck’s coffee mugs from countries she’s visited. Loves traveling, and her favorite trip was to the Bahamas with friends. Is a self-described neat freak. Annually hosts ‘Catch The Stars,' a holiday basketball camp that in 2015 celebrated its 15th year. She is the lead instructor at the three-day camp, which features more than 100 kids ages 9-14. Heavily involved in her community, was called upon by President Bush to attend his 2004 State of the Union speech as a representative of all 2004 Olympians and Olympic hopefuls. In addition to hosting camps and clinics and raising money to enable disadvantaged youths to attend basketball camps, Catchings created the Catch the Stars Foundation in 2004. 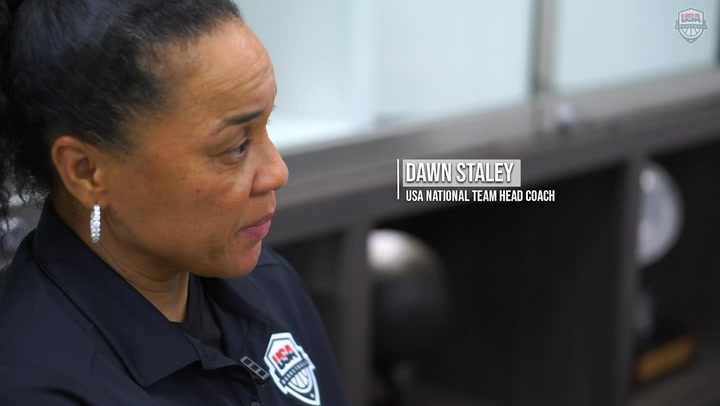 Taking advice from Dawn Staley, the foundation is targeted towards at-risk youths, and its goal is to provide both academics and athletics programs. In 2008 Catchings was awarded the Dawn Staley Community Leadership Award. Enjoys Christian music and is into Lecrae and JMoss. Inducted into the Tennessee Sports Hall of Fame (2012), Knoxville Sports Hall of Fame (2013), Tennessee Lady Vol Hall of Fame (2014) and the Indiana Basketball Hall of Fame (2015). Has some hearing loss and was honored during her junior season at UT with the Reynolds Society Achievement Award by the world-famous Massachusetts Eye and Ear Infirmary in Boston. The annual award is presented to an individual who has overcome hearing, vision or voice loss and who has distinguished themselves and provided inspiration to others. Collected numerous national accolades as a prep star, including the 1997 Naismith and WBCA National Prep Player of the Year awards. A four-time Parade Magazine All-American, also was named to the 1997 USA Today Girls High School All-USA first team, as well as Texas Player of the Year by USA Today. Named Illinois Miss Basketball as a sophomore (1995), becoming the first underclassman in Illinois to receive the award. Won three state championships (1994, 1995, 1997) and recorded a quintuple-double as a senior. 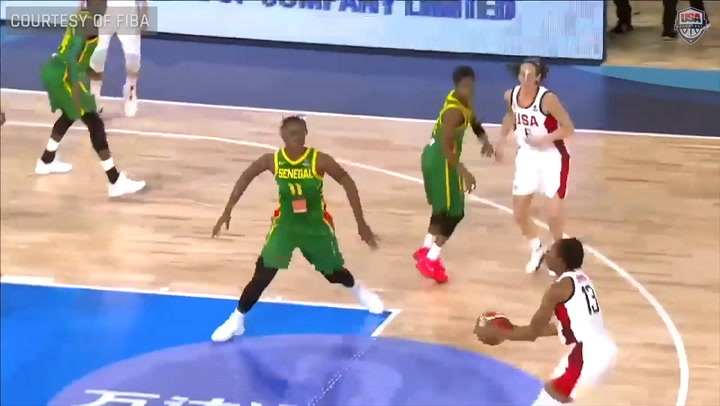 NOTE: Blocks were not kept at the 1997 FIBA Junior World Championship. Complete statistics are unavailable for the 1996 Junior World Championship Qualifying Tournament. * Catchings' rebound totals at the 1996 JWCQT are for two games; her points reflect three games only; and starts are unknown. Therefore, her rebound average is over 117 instead of 120 games and scoring average is over 118 instead of 120 games.